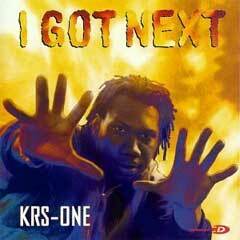 1997: On May 20, 1997, Bronx rapper KRS-One dropped his third studio album, I Got Next. While already a revered rap icon, KRS-One’s artistic direction was hard to pin down as the genre saw increased mainstream adoption in the late ’90s. The South Bronx MC initially broke out on Boogie Down Productions’ 1987 gangsta archetype Criminal Minded, then flipped to a nonviolent lyrical approach two years later on By All Means Necessary. And after BDP established itself as both Afrocentric and commercially viable, KRS promptly went solo. I Got Next was The Teacher’s response to hip-hop moving continents away from Kool Herc block parties and the Boogie Down Bronx. The goal of his third solo album, and ninth total in 10 years, was simple: distinguish the difference between a rapper and an MC. The album begins with commentary on the culture’s five pillars, then cuts to KRS taking acapella “Free Throws” while urging a crowd to get the verses down on their tape decks. Despite being vehemently anti-commercial, I Got Next spawned three singles. “The MC” climbed to number 67 on Billboard’s Hot R&B/Hip-Hop Songs, but the Blondie-sampling “Step Into A World (Rapture’s Delight)” was instantly the most popular track. Sixteen years after Deborah Harry name-dropped Fab Freddie and Grandmaster Flash on “Rapture,” KRS emphatically reclaims the joint. I Got Next also includes two upbeat Redman features, a surprising attempt at metal on “Just To Prove A Point,” and an even more surprising Puff Daddy remix of “Step Into A World.” The album moved more than 94,000 copies and remains KRS-One’s best selling solo project.